not to use it. John H. Kennell, M.D. 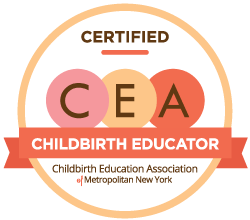 As a doula and a certified childbirth educator, I am knowledgeable about all of the typical medical interventions involved in childbirth as well as many natural and minimally invasive alternatives to these interventions so that you may try something less invasive before resorting to riskier medical interventions. I see births in a variety of settings with different practitioners so I have a unique view into the best practices in childbirth. I am also knowledgeable about the difference between evidence-based care in childbirth and routine medical interventions that are not supported by the evidence. Unfortunately, many routine hospital procedures and obstetrical interventions are not supported by the evidence and this can significantly affect the outcome of your birth. So before you are actually in labor, I will help you determine whether your birth setting and caregiver matches up with your preferences. If you find that it is not a good match, you can always change providers. I have supported many expectant parents through changing caregivers and/or birth settings, even late in their pregnancies. Either way, I will help you clarify your preferences and know your options regarding all aspects of childbirth. For example, I will help you understand what the medical evidence says about why you would or would not want IV fluids or a hep-lock, why would you might choose one type of fetal monitoring over another, why you would want to delay cord clamping and whether it is ever a good idea to bank cord blood, and so on. When you are in labor, I can help you understand why an intervention is being suggested, what questions to ask your caregivers about the risks, potential benefits, and alternatives. Having someone by your side during labor who has seen many births and really believes in your ability to give birth will reduce your anxiety and therefore lead to a quicker and smoother birth (anxiety significantly disrupts the normal physiology of labor). For most expectant parents planning hospital births there is benefit to staying home until you are well into active labor and this is much easier to do if you have someone with experience reassuring you and helping you to determine when is a good time to go to the hospital. Even when you arrive at the hospital you most likely will not see your doctor or midwife right away (and once you do, they will generally only be in and out every couple of hours of so until it is time to push), and the nurses will generally only be in and out every so often to perform clinical tasks. Having a doula with you throughout your time in the hospital means that you and your partner will never be alone in the room wondering what is happening - you will have a knowledgeable ally there to address any questions or concerns as soon as they arise. Your doula can also help you to interpret what hospital staff and caregivers are communicating to you and help you to make informed decisions about any interventions that are suggested. For women planning a home birth, your doula will generally be with you for many hours before your midwife arrives and can help you determine when it is a good time to call in your midwife. Even when your midwife arrives, as wonderful and supportive as they may be, their primary role is still to focus on clinical care, whereas your doula will always be focused on your support and comfort. These are two complimentary, yet separate, roles. 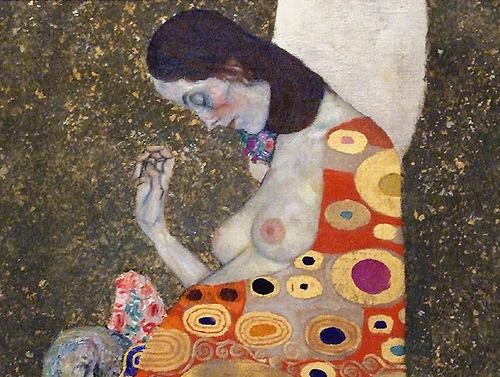 Doulas are trained in natural pain management techniques for labor. As a licensed massage therapist, I can use massage, acupressure and cupping therapy for pain management in addition to positioning suggestions, hydrotherapy (use of hot and cold water applications), breathing and focusing techniques, and so on. I use specific massage techniques that help to block the neurological pain pathways from the pelvic region to the brain. I will also help you determine when is a better time to get into the shower versus the tub for pain management (at certain points in labor the tub can either slow down or speed up labor). For birthing parents who hope to avoid pain medication this support is indispensable. As your doula, I will always keep an eye on how your labor is progressing. I will take note of what seems to be helping or hindering labor progress and make suggestions to you to help keep things moving and prevent problems before they arise. For example, if I notice that your labor seems to be slowing down and you have been in one position for a while, I may suggest that we talk a walk, change position, or use the bathroom (emptying the bladder can help and so can the act of simply sitting on the toilet for a little while). Or if you have back labor, I will help you use particular positions to help the baby change position and specific massage techniques to minimize the back pain. This is one of the reasons you are less likely to need medical interventions with the support of an experienced doula -- I can help you resolve minor problems naturally before they become bigger problems that require a medical intervention. In a hospital setting (even with some midwives) you may be surprised to find that typically the only tools that are used to solve problems are medical interventions (such as Pitocin for stalled labor), even though there are many safe and effective alternatives (often as simple as changing position, walking around, or simply being patient). I will help you use simple non-invasive alternatives for problems with labor progress first so that medical intervention is used as a last resort instead of an immediate go-to solution. Many of my client’s partners feel that my presence takes the pressure off of them as the sole support person. I can give your partner advice on how to best support you and your partner will also have me to confide in if they are feeling anxious or have any questions. Your partner will be able to give you loving emotional support while I help you with pain management. Most partners have expressed to me that they were able to be more calm, focused, and present because of having me at the birth. I will be there to support the two of you as a team (not to replace your partner as the sole support person). I will also be watching out for your partner's needs and can ensure that you will never be left alone if you partner must take a nap or get something to eat. Read more Contact Lena to schedule a free meet & greet  Klaus, Marshall H., John H. Kennell, Phyllis H. Klaus. 2002. The Doula Book. Cambridge, MA: Perseus Publishing.